The International Swimming Hall of Fame announced that Robert Strauss was honored with the 2019 Virginia Hunt Newman Award. Brent Rutemiller explains the award and its latest recipient, "The Virginia Hunt Newman International Award is sponsored by Kiefer, the “Keep ‘em Swimming” company founded in 1947 by Hall of Fame swimming great Adolph Kiefer. This award annually recognizes outstanding individuals who have made significant contributions in the field of infant and young child swimming instruction in the name of the “Mother of Infant Swimming,” Virginia Hunt Newman. Professor Robert Strauss, M. Ed. has dedicated his professional career to aquatics. Through aquatic education, Coach Strauss has enriched the lives of babies, toddlers, school-age children, teens, and adult, assisting them to discover how to be safer and stronger swimmers. Strauss is well known for the development of instructional skills based on soft-touch and soft-voice. Coach Strauss and his life partner, Jennie, founded Swim Gym in 1984. In the fall of 2012, the Swim Gym Swim School opened its doors at the Galbut Jewish Community Center in Miami Beach, its present home and only location. The physical plans at the JCC’s improved conditions to teach and coach people of all ages and turned Swim Gym into one of the Top 25 Authorized Providers of the American Red Cross in the South Florida Chapter. This included certification of water safety instructors and lifeguards, as well as the learn to swim program that teaches an average 500 children per week during the school year and approximately 1000 children per week during the summer camps. At present, Robert and Jennie spend some of their time travelling together reinventing the science of learning how to swim and sharing their combined 90 years’ experience of teaching and administration." 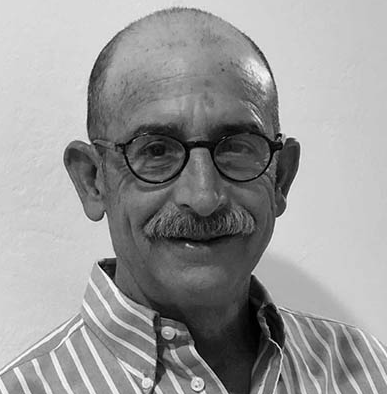 Strauss, a long-time open water swimming enthusiast and race director, is a stalwart in southern Florida aquatics who has passed his aquatic genes to his son Jonathan Strauss, the current race director of Swim Miami and the 2019 USA Swimming national open water championships in May.